Did you know that this website has ALL the MLS listings in Orange, Ulster. Westchester, Putnam & Rockland County? Don’t believe the myth about other sites having additional homes for sale. They get their feed from the exact same source as I do. We call this an Internet Data Exchange or the IDX. This is how MLS listings end up on my website or any other website you see. The data is shared so that a home for sale has the most exposure possible so that agents from all over the area can attract buyers to sell a home. The more eyes that see a home for sale, the more likely it is to sell. These properties are entered into the MLS by each listing office and are then syndicated. MLS membership requires all listings to be shared to all the members, with no exceptions. The big real non real estate websites publish additional information from other sources with some current information, coupled with a sprinkling of old outdated information. It is not very useful as you will see homes that have never been for sale, or a home that sold three years ago. You won’t find additional homes for sale on Realtor.com, Zillow or Trulia that are actually available. They do not get their information faster than the this IDX. A client recently asked me if they would only be seeing Key Properties listings if they worked with me as their buyers agent. The answer is absolutely not. All the MLS listings that are available to you can be shown by me. The best part of seeing properties with a buyers agent is that I work directly for you, the buyer, keeping your best interest my biggest concern. Are you looking to buy a new home? Of course you turned to the web to find information about houses for sale in one of many neighborhoods. The trend to find a home online is huge and there are so many websites to choose from. Where to look and how to find the best information can be a challenge. It is important to find the most accurate and up to date info. Why does this matter to you? Wrong info can lead to disappointment, frustration and it will waste your time while searching. You may be busy trying to track down info on a home for sale only to find out that it was never listed, and miss out on a new one that recently became available. Provides a direct email and cell number to a real live agent. After finding a good website, what comes next? Unlike the big non real estate websites, I am a real live person. I answer my phone and make sure that you are getting your questions answered. I am unique in that I am local and I know the area and not a robot with scripted info. You can expect Customer Service when you need it most. Buying a home is the single most expensive item you will buy in your lifetime. Be sure to get good information and have an experienced agent to guide you along the way. Once you find a property that interests you and request for more information, you are sure to get answers quickly. Whether you call or email me you will receive a quick response. Since you are looking at current info you will be able to know that a property is actually for sale. 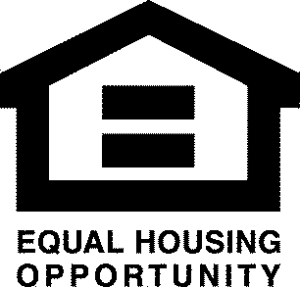 NONE of the big companies are owned and operated by individual real estate agents. The information seen is forwarded to those sites from local Multiple Listing Services to many places. Some places that have the data are actual MLS feeds while others are just old and new data harvested from different locations and fed to the public as accurate and up to date. They are not. Zillow has gone so far as to list homes that are not for sale at all. This is where much of the confusion comes from. If you are out looking to find a home to purchase, it is hard to know where to go and how to find the most accurate information possible. 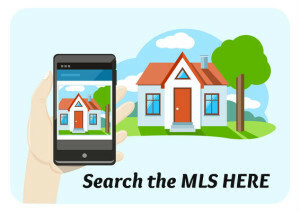 The local MLS supplies the best data. The MLS doesn’t have the best and most useful end user website. It is not for consumers. They are not in the business of selling homes, as their goal is provide an IDX service to real estate agents. Their purpose is to provide syndication of the collected data to the internet. My job is to get that info out in an easy format to you. 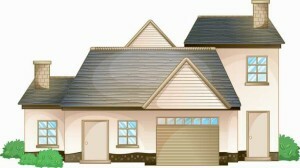 Where to look for a great source of current information on homes for sale? You have arrived! IF you are on my website, you have come to the right place. The listing agent works for the seller. A buyers agent can represent you, the buyer. Looking for more info on how you can be represented in any transaction? Let’s talk. Meanwhile, surf around my website and see what is for sale today. Thanks for surfing my Real Estate Website. Finding a home may take a day or a month. Let’s not waste time!